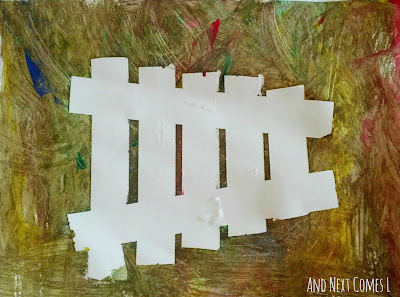 The regular readers on my blog have probably noticed that we really enjoy doing tape resist art. We have done music symbols, surfboards, a Canadian flag, and a Father's Day gift, all using this art method. It's so simple to do, which is why I particularly enjoy it. 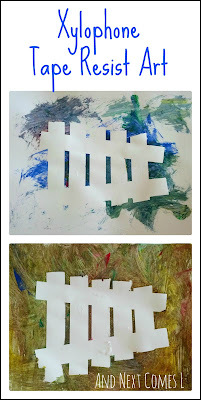 Anyway, I set up this xylophone tape resist art for the boys to do as part of our X is for Xylophone post. 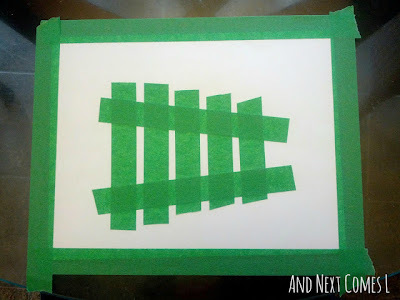 I taped out an xylophone shape for each of my boys on some cardstock. I then taped it to the table so it wouldn't move. 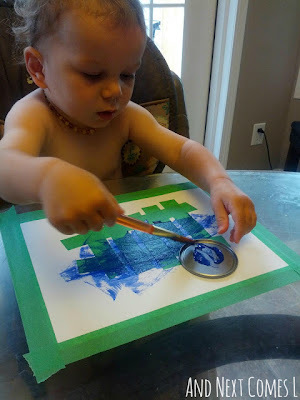 We used tempera paint for this tape resist art, but you are welcome to use any medium your child enjoys. 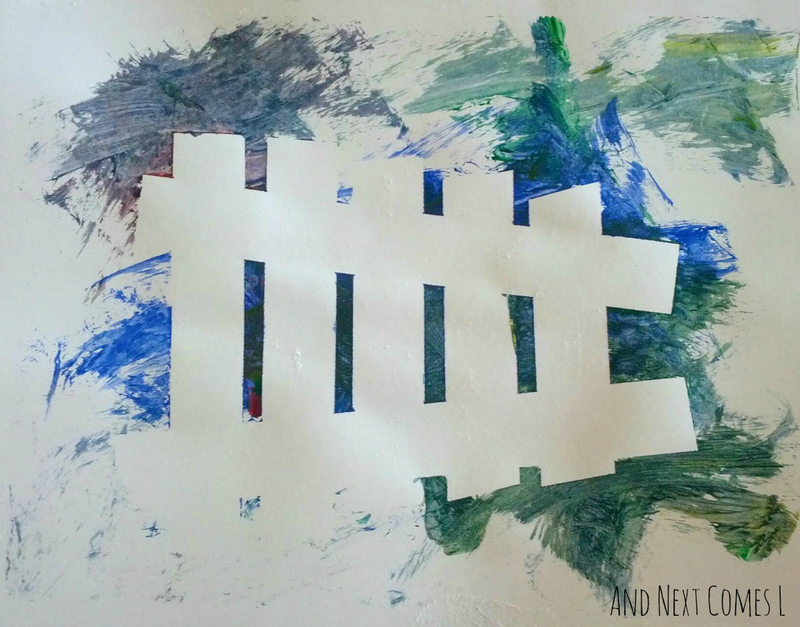 We have used primarily dot markers in the past for these types of art projects, but the boys were eager to use their paint brushes for this craft! 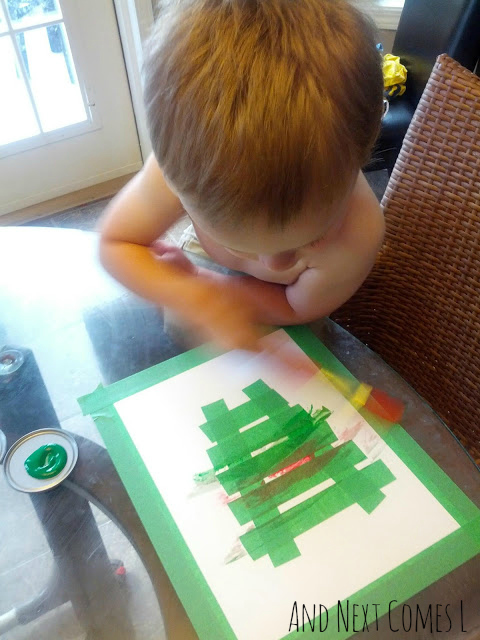 J preferred to paint "really fast!!" while K favored a more careful, gentle technique. Looking for more tape resist art projects? Be sure to check out the tape resist art we have done using music symbols, surfboards, a Canadian flag, and a "We Love Dad" message.